Believe it or not, it's the last major fine arts event of the year! Be there to wrap up a great year for the fine arts at Niles North. It's a great way to celebrate the final vocal jazz performance of the year with all three of Niles North's amazing groups performing. The District 219 Board of Education has appointed three new professionals to top posts in the Fine Arts Department. Jason Brown has been hired as Director of Fine Arts for the district, effective July 1, 2012. Brown will succeed Mary Jo Papich, who has been serving as interim director. Cheryl Filipek has joined as Band Director at Niles North and Justin Johnson steps in as Band Director at Niles West after the retirement of William Koch. Both directors begin work on Aug. 14. The board also appointed Anita Turner Baker as the Fine Arts Executive Secretary at Niles West. Brown was named Art Educator of the Year for 2012 by the Arts and Education Council of Greater St. Louis. The council recognized him for “opening the world of art to many students” as Director of Fine Arts of the Riverview Gardens School District, a position he has held for the past two years. The committee cited Brown’s effectiveness in establishing strong partnerships between the district and community arts organizations and performing arts organizations. Brown began his career in 1997 as a music educator in St. Louis Public Schools. He has served as a band and vocal music teacher at the elementary, middle and high school levels and as director of bands. 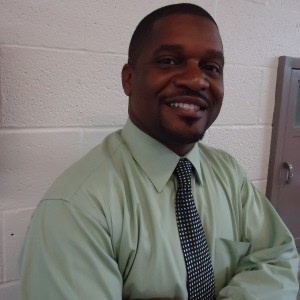 He has also served as a principal, and as a literacy facilitator in St. Louis Public Schools and as an assistant principal in Montgomery County Public Schools in Virginia. He earned a bachelor’s degree in music education from Eastern Illinois University, a master’s in educational leadership from St. Louis University and is currently working on a doctorate in educational leadership from Lindenwood University. The Board appointed Cheryl Filipek as Band Director at NilesNorth and Justin Johnson as Band Director at Niles West. Both directors begin work on Aug. 14. Filipek will take over North’s band program from Elton Eisele and Johnson succeeds Bill Koch. Both Eisele and Johnson are retiring after leading the band program at their respective schools for a remarkable 29 years each. Filipek has been Director of Bands at Lincoln Park High School in the Chicago Public Schools (CPS) since 2005. She directs the 102-piece concert and marching band and the school’s top wind ensemble and also teaches Freshman General Music. She was instrumental in Lincoln Park High School earning the #2 Rank in Class AA Overall Music State Final School Results from the IHSA in 2010 and 2011, and her groups have earned 14 Superior Ratings from CPS and IHSA Festivals. Filipek’s Pep Band was chosen by audition tape as the #1 Pep Band of the Year in 2009 by the IHSA. Filipek was Band Director at Lane Technical College Preparatory High School from 2000 to 2005 and taught Music Appreciation. From 2000 to 2010 she was an instrumentalist for the Air National Guard Band of the Midwest, performing as solo oboist in the Concert Band and Woodwind Quintet; she also served as Non-Commissioned Officer in Charge of Public Affairs. Filipek earned her bachelor’s degree in music education from the University of Illinois at Urbana-Champaign. Niles West will also be getting the services of an award-winning band director. He has been Head Band Director at Central High School in the Memphis City School District since 2008. During his time at Central High, Johnson reformatted all the musical ensembles and started several new ones. The school now has a competitive marching band, full jazz orchestra, several jazz combos, several chamber groups, a percussion ensemble and three concert ensembles of varying musical difficulty. The Central High Jazz Ensemble was named the 2009 and 2010 winner of the University of Memphis Jazz Festival and was selected to perform at the prestigious Essentially Ellington competition in Lafayette, Louisiana. He also teaches AP Music Theory. Johnson has extensive drum and bugle corps experience, having served as visual technician for four years with the Memphis Sound Drum and Bugle Corps and also as visual technician for the Bluecoats Drum and Bugle Corps in Canton, Ohio. He is a skilled musician who plays alto and baritone saxophone, mellophone and several other brass instruments. Johnson earned a bachelor’s degree in instrumental music education from the University of Memphis. Anita Turner Baker will succeed longtime Fine Arts Executive Secretary Kathy Spreitzer, who is retiring after 30 years at Niles West. Turner Baker is currently the floor supervisor at Niles West’s Information Resource Center. She has more than 10 years experience in administrative support and office management and has worked for Evanston Township High School, New Life Shelter and the City of Evanston Health Department. Turner Baker earned her bachelor’s degree in psychology from Roosevelt University and is a musician (pianist) who looks forward to working with the West Fine Arts staff. Enjoy the sounds of the Niles North Band under the leadership of director, Elton Eisele. This is Elton's final performance after 29 years of service to Niles North. Come celebrate and honor him, and our outstanding musicians! The Niles North Theater Department presents William Shakespeare's “Henry V” on May 3 through 5 in the Drama Performance Center at 9800 Lawler Avenue, Skokie. In Shakespeare's earlier works, the title character is depicted as “Prince Harry,” a unruly and fun-loving wastrel, but Niles North's adaptation of “Henry V” is set in the not too distant future where the young monarch is a fun-loving party girl who assumes the throne as Queen H5. How to keep “Henry V,” which Shakespeare wrote over 400 years ago, current for today's audiences? Director Timothy Ortmann set the play in the year 2020, where the ruler is Queen H5 and she leads an army at the Battle of Agincourt. “Nobody expects much of her,” said Ortmann. “She surprises them. She's quite astute and has been paying attention.” Other than some name changes (Princess Catherine of Valois becomes Jean-Claude in this adaptation) and some changes in pronouns, the play uses Shakespeare's words. It is the actors who had to consider what role gender plays in society and how leaders are perceived. Showtimes for “Henry V” are 4 p.m. and 7 p.m. on May 4 and 5. Tickets are $10 and may be reserved by calling the Box Office at (847) 626-2122. A free community performance will be held at 10 a.m. on Thursday, May 3. To ensure that the fine arts are part of a complete, well-rounded education at Niles North High School. To offer aid in helping fine arts students reach their full potential. To help enhance the overall experience of fine arts students. To help increase student participation in, and exposure to, fine arts activities. To increase parent and community involvement in supporting fine arts activities. To improve communication between fine arts parents, students, teachers, school administrators and the community.